It’s a new year and I’m in the mood to have some fun. I have come up with 10 words that usually have negative connotations, but they work extremely well as movie character names. Let’s go through these names and see if we can figure out what it is about these characters that allows them to turn terrible things into memorable monikers. Evil isn’t something I would wish on anyone. But there’s something about putting “Doctor” in front of that word that makes it absolutely hilarious. Doctor Evil’s name makes it sound like he’s going to prescribe a world of hurt on anyone foolish enough to schedule an appointment with him. 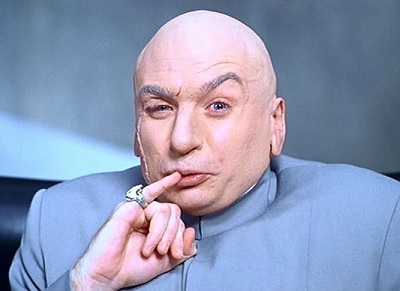 When Mike Myers was in his prime as a comedian, he could pull off a ridiculously over-the-top character like Doctor Evil with ease. Pure evil has never been as astonishingly portrayed as in the Austin Powers films. Depending on your point of view, Napoleon Bonaparte was either a tyrant or a liberator, and dynamite is either a constructive tool or a devastating weapon. Combine these two ambiguous things and you get one of the funniest characters of the last decade. Go figure. Anyone who has lived in the Pacific Northwest and has gone on a campout or two is probably more familiar with poison ivy than they would like to be. Yours truly included. But oddly enough, this noxious plant makes for an incredible name for the femme fatale Batman villain, Poison Ivy. Batman and Robin is laughably bad, of course, as is Uma Thurman’s performance, but that doesn’t diminish the character’s charm. Batman: The Animated Series made her an intriguing character. In the right creative hands, she could make a formidable foe for the Dark Knight. 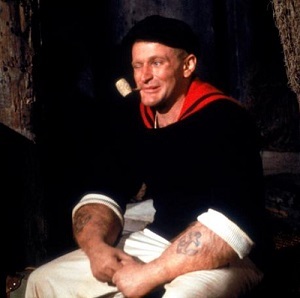 Separate “Popeye” into two words and you’ll notice that it is a horrifying image. We’re talking Evil Dead 2 territory here. An eye popping out of someone’s skull is something I never care to see. But put a pipe in a sailor’s mouth, glue one of his eyes shut, give him the body of a lanky walrus, and call him Popeye and somehow you’ve got an instantly endearing character. Scars are often something to be proud of when they come from a harrowing experience. They are something that can never be fully erased after a painful experience. We may never know how the character Scar got the signature scar on his left eye. I like to think he was born with it, or else why would his parents name him that? They would have emotionally scarred him for life. Slaughter is synonymous with words like genocide, murder, and cruelty. But Sgt. Slaughter is one of the coolest characters of all the G. I. Joes. Anyone who watched the TV show as a kid and saw the animated movie knows him as the Arnold Schwarzenegger of the cartoon world. 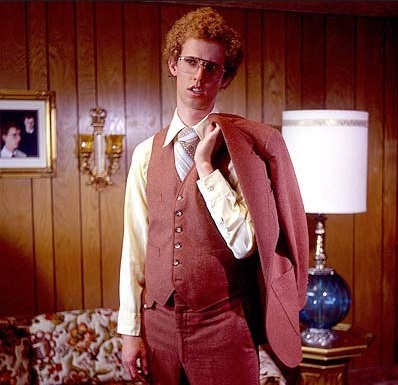 He’s punches bad guys, spouts off one-liners, and is simply the toughest guy on the planet. He provides at least as much laughter as he does slaughter. Okay, so a splinter may not be on the same level of badness as slaughter or evil, but it’s definitely not something good. So how can something that causes so much pain be the perfect name for a talking rat who is the Obi-Wan Kenobi of his film series? I have no idea. 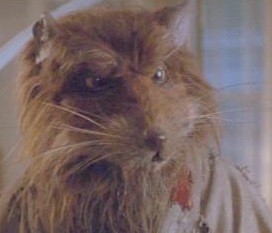 But by some miracle the makers of the original Teenage Mutant Ninja Turtles movie completely sold Splinter as an emotionally rich father figure to four freakishly big turtles. Now that’s Turtle Power. Storms aren’t always bad. After all, you have to have some rain and snow from time to time to avoid droughts and other terrible ecological consequences. But they do frequently cause property damage and even deaths. Who could have known that calling a character Storm would be so awesome? I’m just glad they didn’t call her Gale. Venom, like any other poison, can sometimes be deadly if it isn’t properly treated. 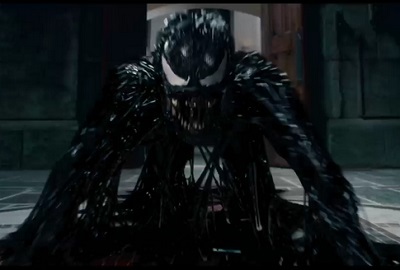 Venom the character can be just as deadly when Spider-Man is unable to stop him. Spider-Man 3 didn’t do the character justice, as many other people have pointed out. But he’s still one of the best villains ever to come from any comic book, and his simple name and imposing physical presence belies Venom’s surprising intelligence and complexity. War is a terrible thing. Sometimes it can’t be avoided, but that doesn’t change the fact that it is always thoroughly unpleasant for everyone involved. War Machine, on the other hand, is an awesome superhero. I would have put Iron Man 3 above because it’s vastly superior to the abysmal Iron Man 2, but he’s called the Iron Patriot in the third film. Sad. Still, War Machine takes my top spot as the best-named hero or villain in the Iron Man films, even if he’s never given much to do in the story. Can you think of any other character names that should definitely be on this list? I’d love to hear them. This entry was posted in Random Stuff and tagged action movies, animated films, austin powers, batman, comedy, comic books, films, fun, funny, gi joes, humor, iron man, movie review, movies, napoleon dynamite, science fiction, sequels, spiderman, teenage mutant ninja turtles, x-men. Bookmark the permalink. Wolverine. One of nature’s most solitary, unpleasant, and ferocious creatures is a perfect moniker for the gritty character from the X-Men comics and movies. Nice. Wolverine is definitely the perfect name for that character. Who knew a crazed animal could have a heart of gold?